Deadline for nominations is 5 p.m. on Friday, October 5. 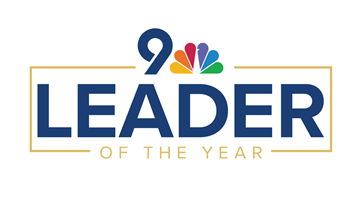 Announcing our 9NEWS Leader of the Year finalists! Since 1999, 9NEWS has recognized outstanding leaders in our community, with the 9NEWS Leader of the Year award. On Friday, 9NEWS and the Denver Metro Chamber Leadership Foundation jointly announced Stephanie Donner, Chief Legal and People Officer with Galvanize, as the 2017 9NEWS Leader of the Year. The award was presented in front of more than 700 guests at the Leadership Foundation’s annual Leading Colorado luncheon, benefiting its Emerging Leaders Scholarship Program. Hundreds of Leadership Foundation alumni cast their votes, selecting Donner from three impressive finalists. 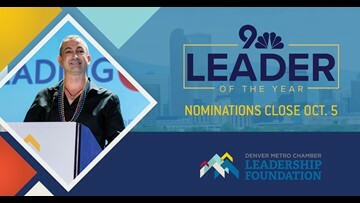 Nominate an emerging leader for the 9News Leader of the Year! The 9NEWS Leader of the Year winner will be announced live at the 2016 Celebrating Civic Leadership Luncheon. 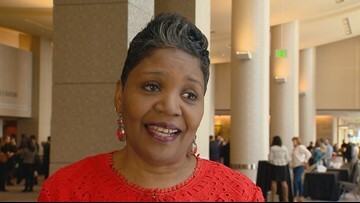 DENVER - She's put the plan together to create a "center city" of the future - one that will bring lots of jobs and new businesses to the area. That is just one of the many reasons that Tami Door is the 2012 9NEWS Leader of the Year. It hasn't been built yet. In fact, the city is still working on picking a site, but Eric Duran knows when the West Denver library is constructed, it will make a big difference for kids in his old neighborhood. He hails from a family of educators, with both of his parents and many of his siblings teaching in Denver Public Schools over the past few decades. You could almost say that education was in his blood from the start. Christine Benero, a Littleton native, loved working in Washington, D.C. It had to help that she scored what many people would consider a dream job. Monica Pleiman is Chairman and CEO of Optimum Management Services, Inc., the parent company of Optimum Management Systems LLC (OMS). Kathie Novac, a native of Colorado, earned her Master of Science in Management from the University of Colorado at Denver, and has an undergraduate degree in Business Administration from the University of Colorado at Boulder.